It’s a secret. But it’s awesome. 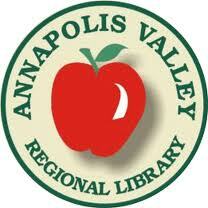 Little eLit and the Annapolis Valley Regional Library are teaming up to do……. something totally awesome that I can’t tell you about yet! Despite the rain and wind, my colleague Angela Reynolds is cooking up new ideas for digital early literacy programming. When we have something fun to share, we’ll post it and get some other library systems in on the fun, too. Keep safe, Angela, and everyone else on the East Coast! Posted on October 30, 2012, in collaboration, Story Time and tagged AVRL, Creative Collaboration. Bookmark the permalink. 2 Comments. It IS going to be awesome. Shhhhhhh…..
and remember, when the sheep start to cha cha, you know you’re in for a rough one.